I’ve gathered a few of my favorite spring inspired products to bring you a new Makeup Menu- Spring Edition! I’m dishing out a few of my golden rules for spring inspired makeup, as well as the products I switch to at the start of the warmer months! This is one of my favorite times of the year to switch up my makeup bag! Generally, I stick to going brighter for this airy season! 1. Switch: the dark for the bright, & the heavy for the light. #1. 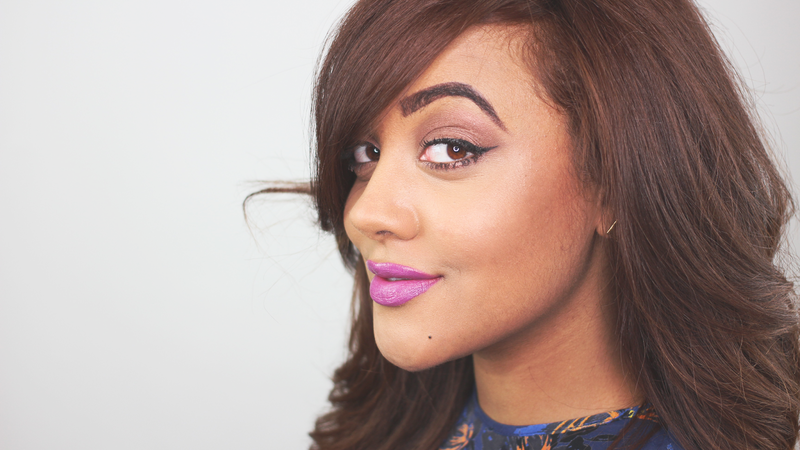 SWITCH: This is the most important step to giving yourself a spring makeup makeover! 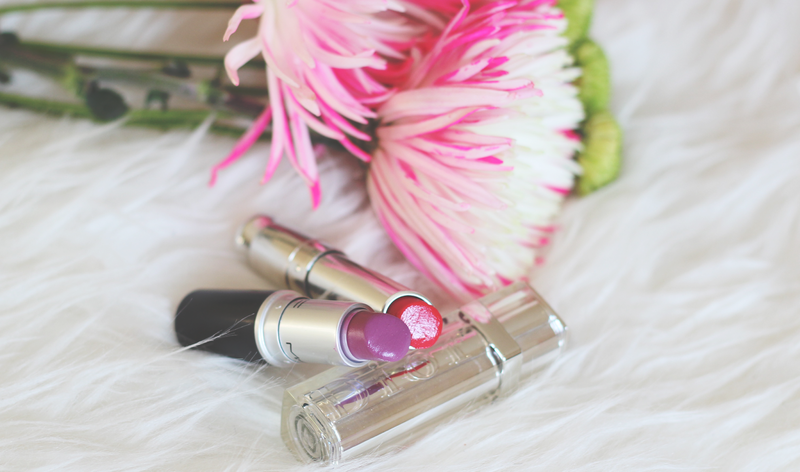 LIPSTICK: Introduce a brighter and more sheer tone lipstick into your collection. Every year, I wear Mac’s Up The Amp Lipstick (seen on me) like my life depends on it! It’s the perfect non-Barnie purple for every skin tone! Dior Rouge #865-Similar Here: My fav fancy-pants lipstick in a fun Fuchsia color! Best known for it’s high gloss and boosts in hydration. #2. INTRODUCE THE DEW: Give your skin a much needed dewey finish! FOUNDATION: After a long winter, you want a foundation that feels lighter and looks brighter. Bare Minerals BareSkin Foundation: has been my go-to since it was released last year. I like the light-medium coverage that still lets my natural skin breath. It’s perfect for giving the illusion of naturally dewey, hydrated skin! The finish is perfect for the in between months of spring. WATCH this in depth review I did on this foundation last year! #3. INCREASE THE SHEEN: Add cheek products with shimmer to aid in the natural highlighted look. 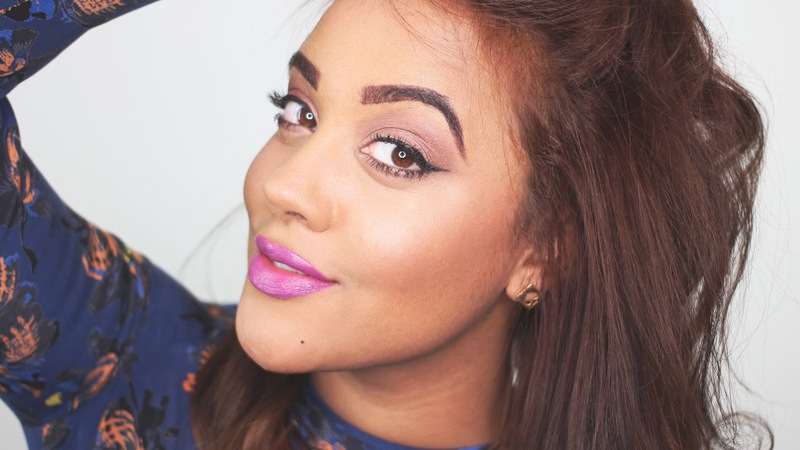 BLUSH: Brighter purples and corals are great options to give your makeup something new. This coral blush by Mac was a limited addition (Similar Here) however, any coral toned blush will work. Add in a highlighter or a combo highlighter/blush like you see above to increase the healthy glow illusion. That’s it! Simple enough right? Any makeup lover like myself knows the joy of switching out your products as the seasons change! Are there any tips or products you use for this time of year? Leave it in a comment. I hope you all are enjoying the new season! I love this fresh look. obsessed with that lip color! What a pretty color blush from MAC. 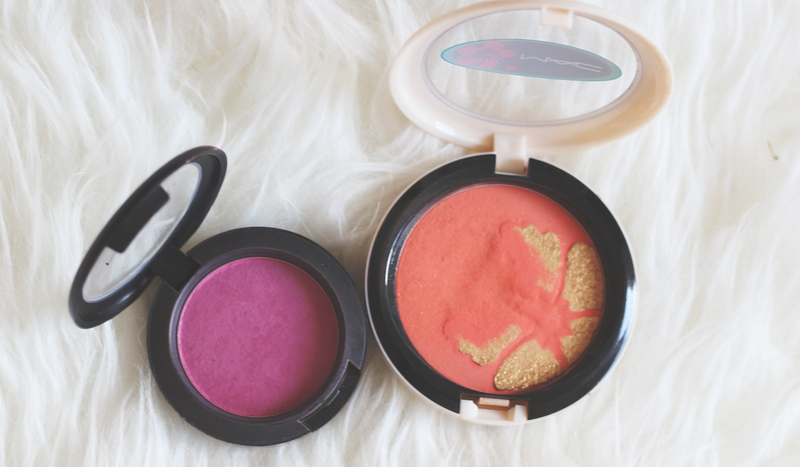 I'm looking for summer blush and I can wait to reach my makeup budget :D.